● Started fifth, finished first. ● The No. 98 Hunt Brothers Pizza Ford Mustang restarted third on the lap-16 restart and immediately drove to the lead. ● Harvick maintained the lead until a pit stop under caution on lap 37. Several cars stayed out and he restarted 10th. ● Harvick made the pass to retake the lead on the final lap of the stage. 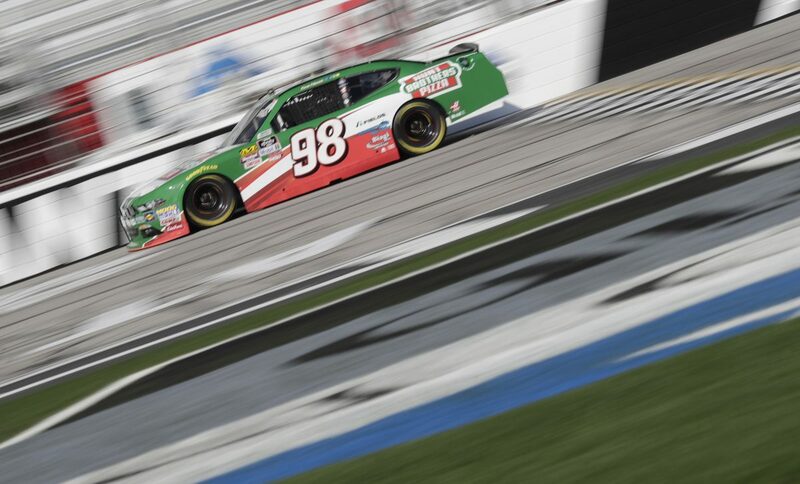 ● Harvick and the Hunt Brothers Pizza team led every green-flag lap of Stage 2. ● The No. 98 Hunt Brothers Pizza Ford came to pit road for four tires and fuel at the conclusion of Stage 2. ● Harvick brought the Hunt Brothers Pizza Ford to pit road with a 6.250 second lead under green for four tires and fuel on lap 128. ● He led the remainder of the event. ● Harvick scored his series-best fifth win in 17 XFINITY Series starts at Atlanta Motor Speedway. ● It was his 47th win in 341 XFINITY Series starts and his 98th win in NASCAR’s top-three series. ● Harvick’s last Xfinity Series win prior to today was at Auto Club Speedway in Fontana, California in March 2015. ● The win marks the second Xfinity Series win for Stewart-Haas Racing. SHR teammate Cole Custer scored the organization’s first win at Homestead-Miami (Fla.) Speedway in the 2017 season finale. ● Harvick swept both race stages, led four times for a race-high 141 laps and scored the win. ● Only seven of the 40 cars entered into the race finished on the lead lap. ● Harvick’s SHR teammate Cole Custer finished 39th after being involved in a wreck on lap 10. ● This was Harvick’s first NASCAR XFINITY Series start of the year for Stewart-Haas Racing with Biagi-DenBeste.